Abu dhabi airport Is the second largest in the uae, serving around 20 million passengers in 2014. It has three operational passenger terminals . The airport is located 16.5 nautical miles east of abu dhabi city. 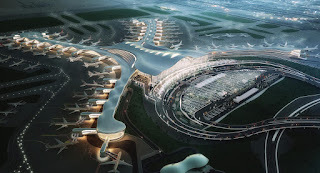 Abu Dhabi Airports Company, ADAC, is a public joint-stock company wholly owned by Abu Dhabi Government. It was incorporated by Emiri Decree number 5, of March 4th, 2006, to spearhead the development of the Emirate’s aviation infrastructure.